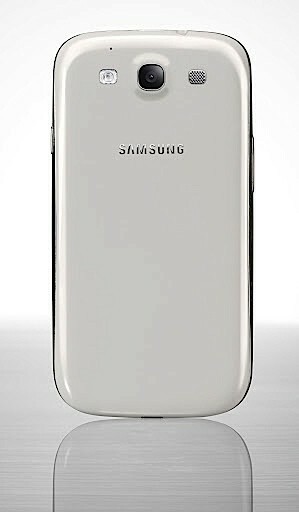 No surprises here, the Samsung Galaxy S III smartphone is official. 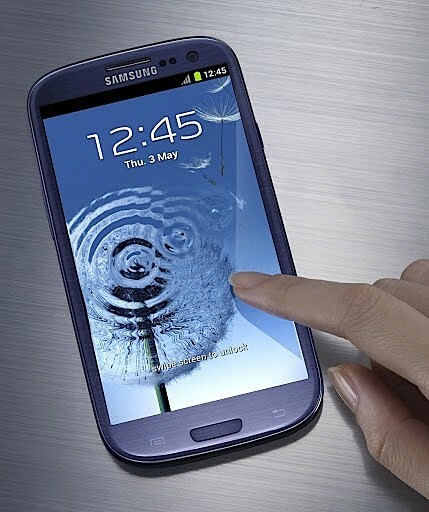 The Android 4.0 Ice Cream Sandwich device will now happily take the throne as Samsung’s flagship smartphone and it has been donned with some amazing hardware and software features. 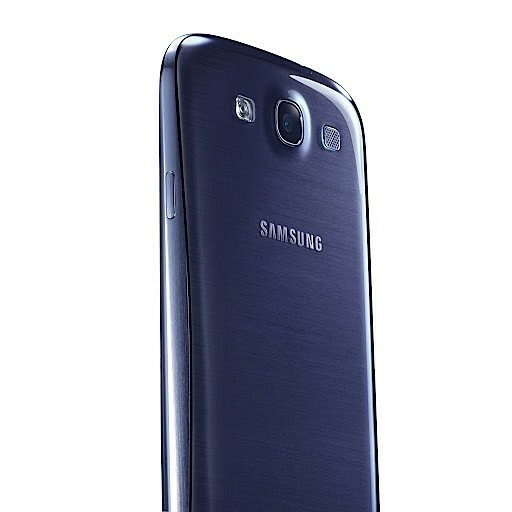 First-off it features a 4.8-inch Super AMOLED display with a 720p resolution. This is unfortunately not an AMOLED Plus RGB screen but rather it features the same PenTile Matrix RGBG technology as the Galaxy Nexus. 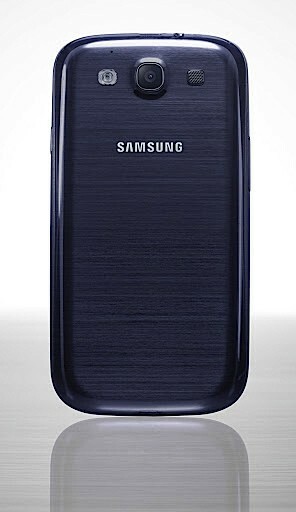 You’ll find a new 1.4GHz quad-core Samsung Exynos 4412 SoC inside that should keep things speedy and a relatively large 2,100mAh battery to power it, and yeah that’s actually a removable one. 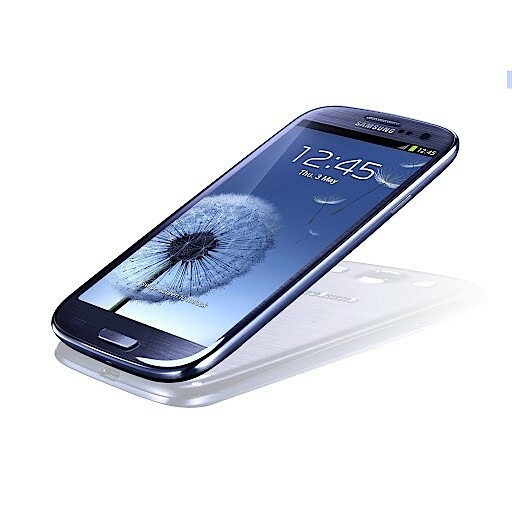 The Galaxy S III can also do wireless charging. 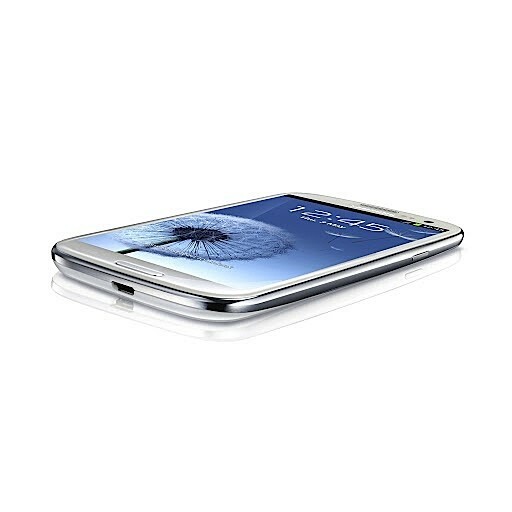 The Galaxy S III will be offered in three storage capacities, 16, 32GB and 64GB and the ability to add more via the microSD card slot. 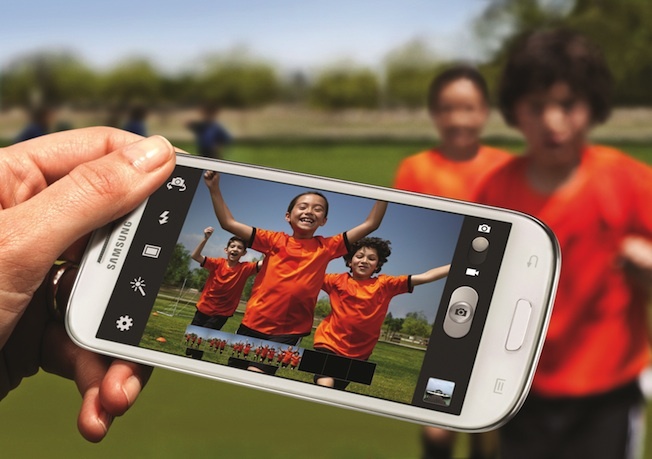 It has 8-megapixel rear and 1.9-megapixel front-facing cameras with the a 990ms start-up time (they could have just said 1 second), 3.3 frames-per-second burst shooting ability and will also happily pick the best shot out of eight for you. 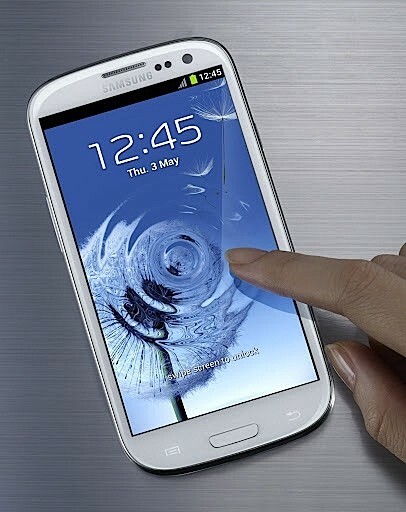 Despite featuring a 22% larger display than the Galaxy S II, Samsung has pointed out that the device is 19% bigger thanks to a thinner bezel. The device measures 8.6mm (0.34 inches) thick and weighs 133g (4.7 ounces). You’ll find every type of connectivity including Bluetooth 4.0, to connect to all other Bluetooth Smart and Smart Ready devices, NFC, 40MHz 802.11n Wi-Fi and GPS together with GLONASS for faster and better satellite fix. There will be a global 21Mbps GSM HSPA+ version and certain local LTE and 4G models. 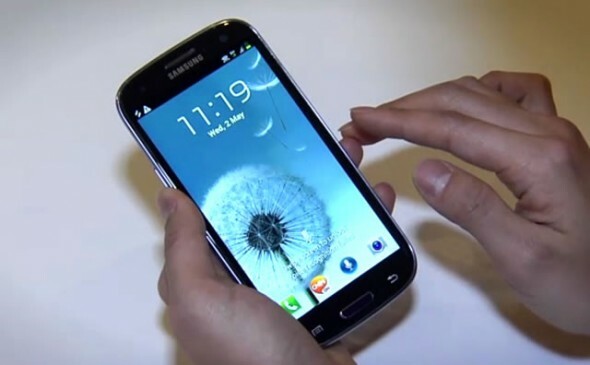 Samsung has implemented a number of unique software features in Android 4.0. There is a very nice feature that keeps track of your eyes so that the display won’t inadvertently turn off while you are reading a webpage for example, and that really happens to us way too often. There is a natural language Siri-like voice activated personal helper call S Voice, as Samsung puts it, you talk to your phone as you wold to a friend. You can also pull out a video you are watching and keep it as a “picture-in-picture” in anything else you might be doing, this function is called Pop Up Play. Finally there are a number of other convenient features, like face recognition with autotagging, group sharing of a document and advanced Android Beam touch sharing NFC abilities. 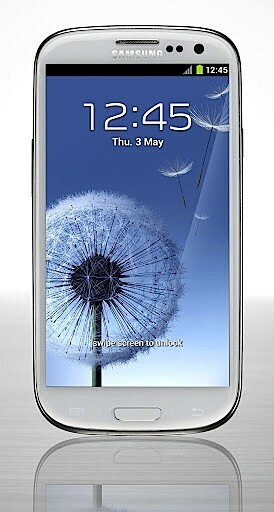 The Galaxy S III has received a definite May 29th launch date in Europe, other market will soon follow with a US launch in June.